Versatile in appearance and made from highly durable materials, our steel palisade fencing is one of the best ways to protect your premises. While this kind of fencing is subtle enough to surround your property without detracting from its looks, the tall steel bars are intimidating enough to ward off potential intruders. With a starting height of 1.8 metres through to 3 metres, our premium quality steel palisade fences are a simple choice for unbeatable protection. Supplied In kit form, our Scorpio steel fencing is delivered loose in order to make assembly far more convenient. All the components come pre-drilled and are supplied with all the necessary fittings. Available in a number of different colours; galvanised steel palisade fencing is suitable for industrial buildings and parks, whereas black or green palisade fencing complements professional surroundings and car parks perfectly. Alternatively, contact us for more colour options by either calling 01204 578 012 or filling out our contact form. Scorpio Palisade fencing can also be bought loose per individual item. 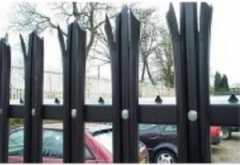 Palisade fencing extras include Palisade Posts, Pales and Rails prices can be found below in either a Galvanised finish or a Powder coated Green/Black finish. Other colours are also available. Please contact the store directy on 01204 578012 to purchase these items or for further information. Manufactured from heavy duty steel, palisade fence posts are extremely robust and designed to withstand the harshest of enviroments. Supplied as standard in hot dip galvanised finish, Palisade fence posts are also available with a Powder Coated Green/Black finish. Other colours are available. Please note when buying Palisade fencing in kit form of 2.75m wide bays, only 1 Palisade fence Post will be supplied, you may need to purchase an extra Palisade fence post to finish the run of fencing. Scorpio Palisade Pales are multi purpose in their usages, ideal for reparing a damaged fence or cladding a palisade gate. Scorpio Pales are sold as standard in hot dip galvanised finish whilst also being available in a powder coated Green/Black finish for a more aesthetically appealing look. Other colours are available. Available in the following heights 1800mm, 2000mm, 2100mm, 2400mm and 3000mm, we are able to supply a palisade pale to suit all requirements. Scorpio Palisade Rails are availble to purchase individually supplied Galvanised as standard or available in a Powder Coated finish. Our top style palisade rails incorporate our unique anti grab technology whilst the bottom palisade rails are plain. 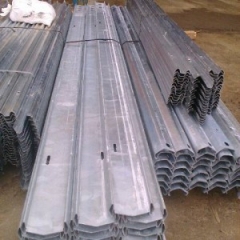 Palisade rails are used in conjunction with palisade link plates and palisade fixings. Other colours are available, please contact the store directly on 01204 578012 or email us via our contact form for pricing and availability. Our Palisade Fence Fittings range from Pale bolts & nuts to Rail bolts & nuts which are both used to attach both vertical pales and horizontal rails to each other. 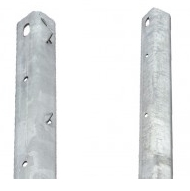 We also supply Straight and Corner Palisade link plates which are both used to connect top and bottom rails together on the Palisade fencing or when a change of direction in the fencing is needed. Our other Palisade fittings consist of Scorpio bay bags which provide 2.75 meters worth of Palisade fittings. 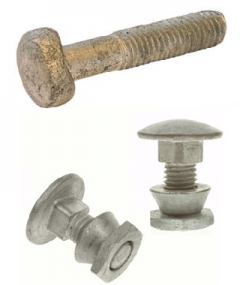 Pale Bolts and Nuts are sold per bolt and nut quantity at One Stop Fencing Products. Pale bolts are used on Palisade Fencing to fix the vertical fence pales to the horizontal cross rails. Prices start from £0.20 per bolt and nut. 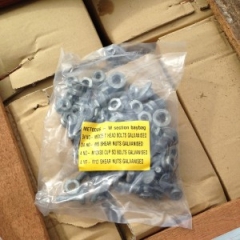 Rail Bolts and Nuts are sold per nut and bolt quantity at One Stop Fencing Products. Rail Bolts are used on Palisade fencing to fasten the horizontal fence rails, to the vertical fence posts. Prices start from £0.50 per bolt and nut. 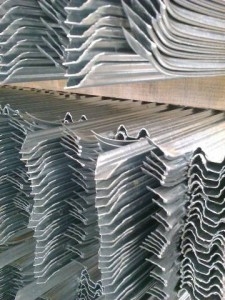 Straight Palisade Link Plates are sold per fish plate at One Stop Fencing Products. 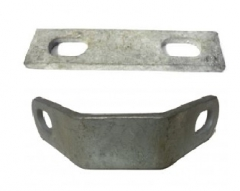 The Link Plates are used to connect top and bottom Palisade Rails together in conjunction with rail bolts and nuts. The Straight Palisade Link Plate is passed through the slot in the Palisade Fence post and bolted to the adjacent rails. You would normally use two Palisade Link Plates per fence post along with four rail bolts and nuts. These would need to be ordered separately. Available in a Galvanised or Powder coated finish prices start from £1.00 per link plate. 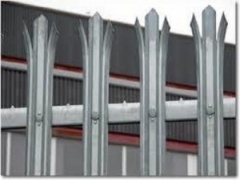 Corner Palisade Link Plates are sold per link plate at One Stop Fencing Products. Corner Palisade Link Plates are used to connect top and bottom Palisade Rails together in conjunction with rail bolts and nuts when a change of direction in the fence line is needed. The Corner Palisade Link Plate is passed through the slot in the Palisade Fence post and bolted to the adjacent rails. You would normally use two Corner Palisade Link Plates per fence post along with four rail bolts and nuts. These would need to be ordered separately. Available in a Galvanised or Powder coated finish prices start from £2.50 per link plate. We deliver throughout mainland UK so please also contact the store for a delivery charge.